You may obtain a static or fixed IP address and other network information from your network administrator for your camera. A static IP address will ease you for accessing your camera in the future. IP Address: The fixed IP address Subnet Mask: The default value is “255.255.255.0.” Used to determine if the destination is the same subnet. Default Gateway: The gateway used to forward frames to destinations in a different subnet. Invalid gateway settings may cause the failure of transmissions to a different subnet. Primary DNS: Primary domain name server that translates names to IP addresses. Secondary DNS: Secondary domain name server to backup the Primary DNS. Select this connection if you have a DHCP server running on your network and would like a dynamic IP address to be updated to your camera automatically. PPPoE settings:If you are using a PPPoE connection, enable it and enter the User Name and Password for your PPPoE account. You can get this information from your Internet service provider (ISP). You may configure a Second HTTP port that will allow you to connect to the camera via a standard web browser. The port can be set to a number other than the default TCP ports 80. A corresponding port must be opened on the router. For example, if the port is changed to 1010, users must type http://192.168.0.100:1010 instead of only “http://192.168.0.100”. Enable this setting to configure your camera as an UPnP device in the network. How to configure D-Link DSA-3100 Gateway to connect to the Internet? How to configure WISH to enhance wireless network on D-Link DIR-655? How to create a Virtual Server entry for the D-Link DI-624M? 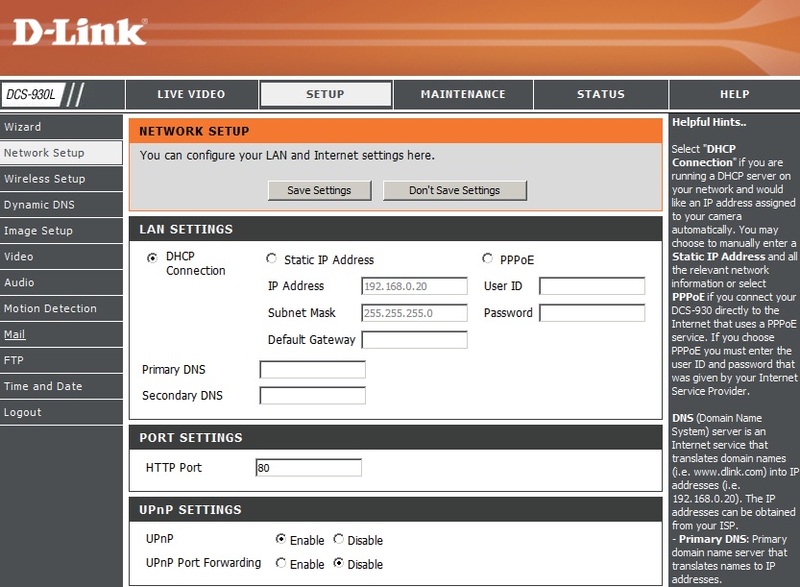 How to configure Dynamic DNS Service with the D-Link DI-LB604?